IIM Lucknow, released the CAT 2017 notification and the CAT 2017 exam will be conducted on November 26. The official notification is yet to be released. However, according to the announcement from IIM the exam will be conducted on November 26 2017. Surprisingly, the Exam dates for CAT 2017 is clashing with those of IIFT (Indian Institute of foreign Trade) and IBPS PO. Both IIFT and IBPS PO would be conducting their entrance exams as the same day as that of CAT 2017. The situation has left several students very perplexed as they are in a fix, not being able to choose between the two. Candidates are left with the option of opting for either of the two exams or apply for both exam in two different sessions on the same day. 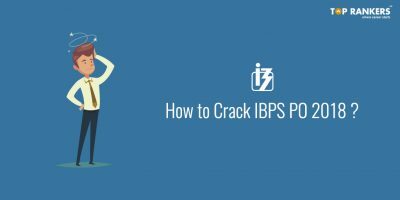 The CAT 2017 exams are also clashing with the Banking recruitment exam of IBPS PO mains. 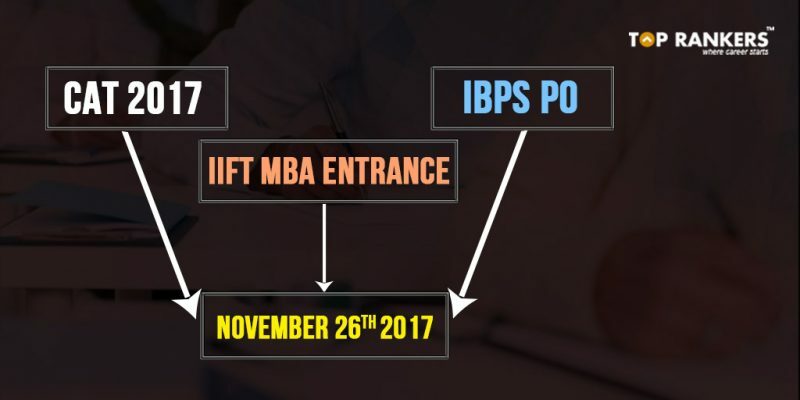 The registrations for IBPS PO exam are yet to start and according to a tentative announcement from IBPS, the IBPS PO mains exam too will be held on November 26. 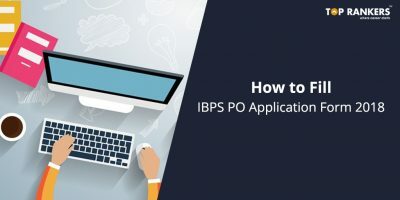 Candidates who qualify for the preliminary exam for IBPS PO would not want to miss out for the main exams to be held on the same day. 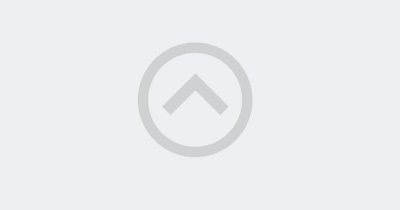 IIFT is one the few institutes in India, offering MBA program in International Business. However, the CAT 2017 scores are not only accepted by IIM’s alone but also a lot of non-IIM institutes and reputed MBA colleges who accept the CAT 2017 scores. 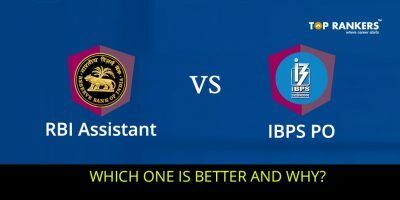 Since, most of the exams are somewhat related to Management (IIM and IIFT), while IBPS is related to banking. Students and candidates should prioritize and see where they want to make their career. However, it is advisable to fill both forms or all the three forms as it is quite possible that candidates and students will be alloted different sessions for the two exams. Toprankers Wishes all the best to all students preparing for competitive exams. Stay tuned for more updates on CAT 2017 Exam Dates Clash with IBPS PO and IIFT MBA Entrance Exam!